Check out Tobi's Bennie Pants Be sleek with stripes in the Bennie Red Pants. 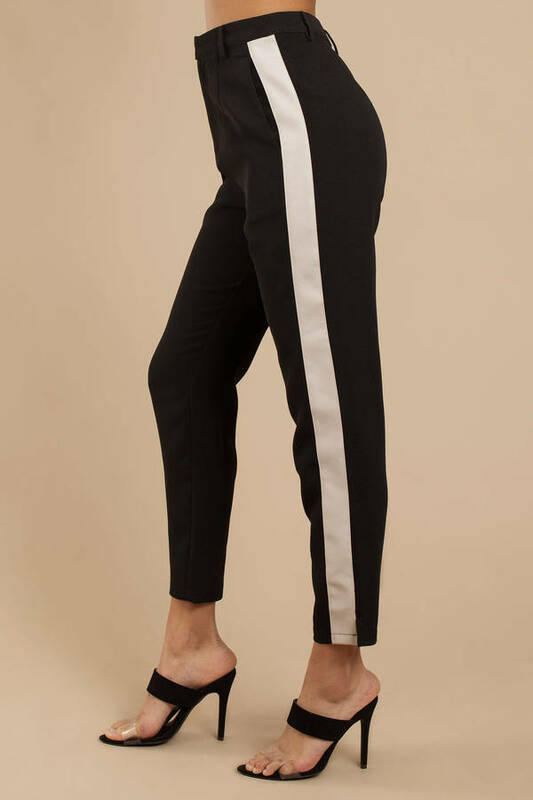 These high waisted dress pants feature a high rise cropped construction and two bold stripes running along the sides. Grab your fave crop top and pair it with these striped pants for a perfect coffee date 'fit. Be sleek with stripes in the Bennie Black Pants. 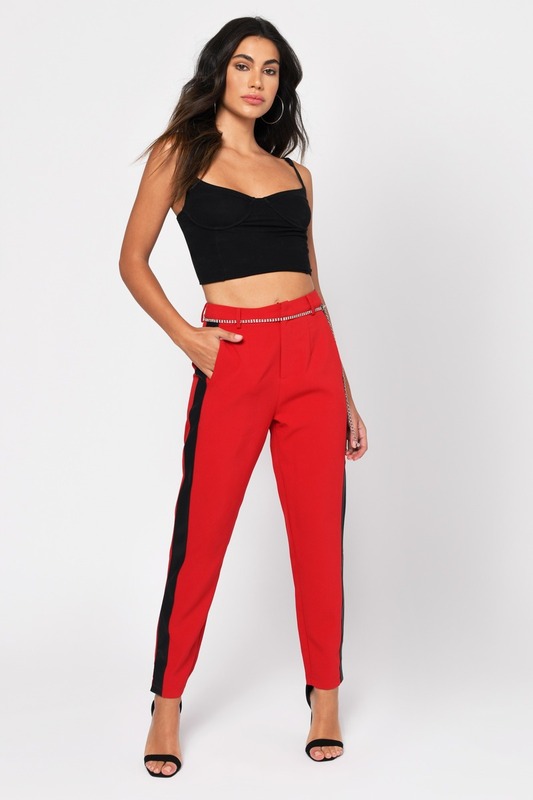 These high waisted dress pants feature a high rise cropped construction and two bold stripes running along the sides. Grab your fave crop top and pair it with these striped pants for a perfect coffee date 'fit. 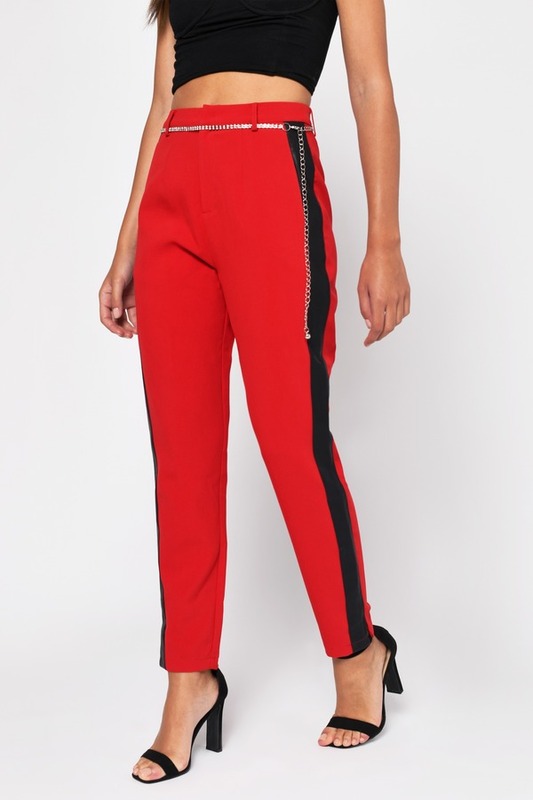 Be sleek with stripes in the Bennie Red Pants. 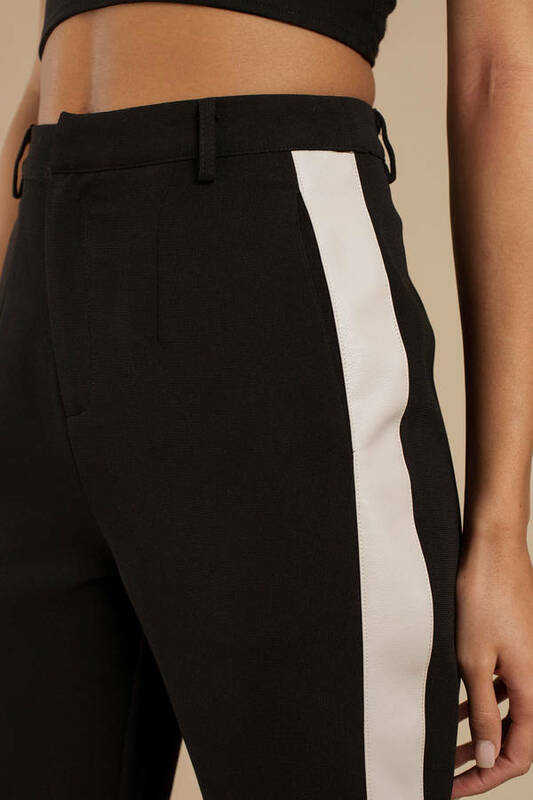 These high waisted dress pants feature a high rise cropped construction and two bold stripes running along the sides. Grab your fave crop top and pair it with these striped pants for a perfect coffee date 'fit.